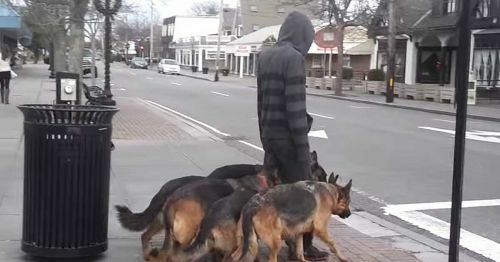 A man walks down the street and asks strangers to share their food with him. In doing so, he learns an important lesson about generosity. In the video below, Moe and Ethan Bradberry conduct a social experiment to determine whether strangers would share their food with someone in need. For each test, a man approaches people eating pizza and asks if they have any slices to spare. The response he receives is overwhelmingly negative — including one individual who resorts to colorful language when saying no. A homeless man, however, completely defies expectations. The men offer their leftover pizza to a homeless man, who gratefully accepts. About 20 minutes later, another member of the team sits next to the homeless man and asks if he would be willing to share. Without hesitation, he offers a slice. The video ends with the saying "Never look down on anyone unless you're helping them up," reminding us all to be more compassionate and less judgmental.